To what extent does vocal modulation both alienate and liberate performers on the intermedial stage? Philip Auslander and Matthew Causey, among a growing number of contemporary theoreticians, have pointed to the « otherness » and « uncanny » experiences of both performers and spectators when confronted with digital doubles. How have artists working with vocal modulation negotiated these experiences and incorporated them into their practice? Our presentation will juxtapose an analysis of key works by three contemporary performance artists – The Wooster Group’s Hamlet ,Laurie Anderson’s O Superman and Marie Brassard’s Peep Show – with a series of digital audio workshops held at the University of Toronto to better understand how both audiences and performers experience the disembodiment inherent in digital voice modulation. Anderson and Brassard speak of alter-egos or theatrical extensions of character, while Wooster Group performers describe increasing freedom through loss of control over technological modulations. In researching these works, we will examine whether an artist’s experiences are at odds with those of the spectator, who may experience a split or delayed presence of the performer. These experiences will further be compared to an in-house creation of Kurt Schwitters’ Ursonate. It has been described as written in a « universal language, » and we will attempt to stretch its universality into a digital soundscape through voice modulation, conscious of the artist experiences described above. Examining the psychoacoustic effects of digital modulation techniques applied to pitch/harmonics, volume, resonance, delay, and spatial (dis)location, we will compare experiences of performers, designers, and spectators with the experiences described in our case studies. Doing so will allow us to further identify how voice modulation both alienates and liberates, and how the actor can better situate him/herself within an intermedial practice. With backgrounds in performance and sound design, we were interested in investigating how the performer and designer can better incorporate their practices with voice modulation. We began with an initial, somewhat naive hypothesis – that working with technology inevitably entailed some form of alienation or sense of the uncanny. We were thinking of scholars such as Matthew Causey, Philip Auslander, or Steve Dixon (among others) who have written about the digital double. 1 As is well known from Freud’s essay on the subject, the uncanny can take many forms. 2 For this project, we defined it simply as a feeling of doubling or splitting of the self, resulting in a troubling or alienated relationship to one’s self. We assumed this phenomenon inevitably hindered intermedial work, and overcoming it was the goal of incorporating our two practices. 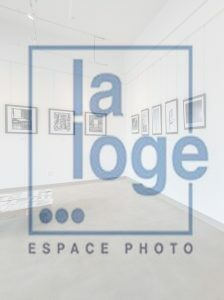 However, when we looked to three well-known practitioners who play with vocal modulation – Marie Brassard, Laurie Anderson and The Wooster Group – we found little reference in interviews to an alienating obstacle. Instead, we found quite the opposite. Brassard speaks of technological extension, Anderson has affirmed a freedom from herself through vocal modulation, and Ari Fliakos of The Wooster Group has talked about freedom gained through loss of control to technology. 3 Voice modulation has been used quite differently by these artists. In what follows, we will briefly go over some of their experiences with the technology, as well as our experience in a short workshop that provided insights through doing. Even the scenography comes from the voice, and with the example of the train, interviewer J. Paul Halferty noted how the volume and bass were raised to a point where the audience could feel the vibrations, allowing the voice to reach out and physically touch the audience’s bodies. Additionally with Halferty, Brassard discusses being “inhabited” by the spirit of her character, the actor becoming a medium for the disembodied voice. Vocal modulation then is a tool, not just for traditional characterization based on realistic tropes, but as a means of pushing the boundaries of character, for extending out to the audience and away from the actor’s body. The surrogate defines the voice that will emerge, while Anderson remains a moderator or “nonpersona” as Auslander once said. 10 When the voices are superimposed into a soundscape, as in O Superman (1984), they become musical instruments in a composition, alongside the synthesized melodies. Turning to The Wooster Group, this intermedial collective incorporates vocal modulation for a number of purposes, although seldom to enhance characterization or musical composition. Like Brassard and Anderson, the group’s use of voice modulation creates a certain estrangement from the audience, drawing attention to the group’s technological aesthetic and open working methods. The technology is also often central to the dramaturgy of a piece. Looking at Hamlet (2007), for example, the technology, including vocal modulation, heightened the remediation that is the focus of the piece. The performance explores how Shakespeare’s famous play is retold by having actors re-perform the recording of Richard Burton’s Hamlet (1964) while the film is simultaneously played in the background. Like Brassard, the live actors become vessels for the media, or “conduits” as Jennifer Parker-Starbuck describes it. 11 She suggests the actors’ skill is in allowing the media to pass through them, “leaving traces upon traces and leaving an embodied disembodiment for audiences to ponder.” 12 The audience is able to see how the technology can both conserve and change the historical document. At times, for example, the edited film soundtrack is played, while at others the live actors are heard through microphones and sound reinforcement. The voices are occasionally modulated, accentuating the changes in this particular retelling. Voice modulation, then, is used dramaturgically to draw attention to the active replay that is taking place. This is in line with William Worthen’s view that the live speech in the production is staged “not as a dependent accessory to the archive, but as an instrument for rewriting the archive in its restoration to performance.” 13 Just as the filmed version is an edited interpretation of Burton’s original performance, so too is The Wooster Group’s an edited interpretation of the film, with the edits highlighted live with technology. 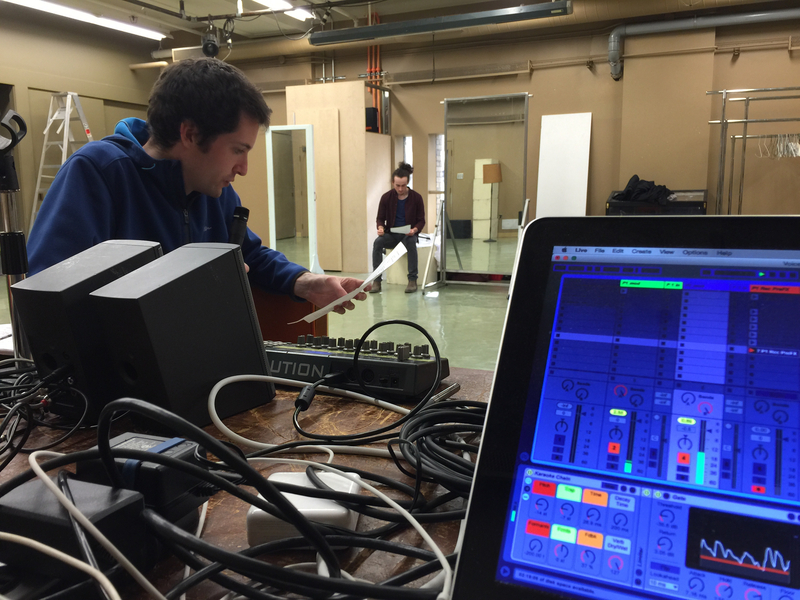 The following is a summary of a voice workshop conducted at the University of Toronto’s Centre for Drama Theater and Performance Studies in winter 2015. Our objective was to explore the practical implications of digital voice mediation and modulation from the stage performer’s perspective, through practice-based experimentation. 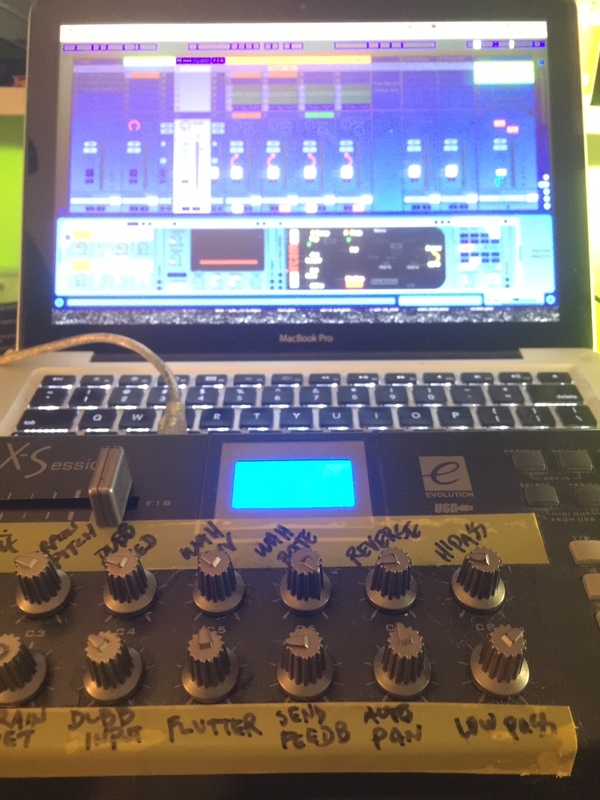 Our setup relied on two microphones routed through a computer-based audio processing environment (software: Ableton Live / MaxMSP), running several effects plugins in sequence – amplitude limiting / compression, frequency equalization, high quality pitch-shifting, and delay / echo. Workshop participants could adjust the parameters of each audio effect by manipulating the knobs of a MIDI controller. The processed audio was output (alternately) through a pair of high-quality portable speakers and a pair of “around-the-ear” style headphones. While each session focused on a particular modulation effect, our work sessions were largely unstructured. One to two participants took turns exploring – and then reflecting on – the effects of various modulation techniques on their voice. These included perceptual disembodiment via speakers and headphones, digital pitch shifting, and time delays or echoes (delay values greater than fifty milliseconds begin to evoke the reflective and reverberant properties of acoustic spaces, while values of less than fifty ms. can actually interfere with the actor’s ability to speak, often resulting in a stuttering effect which may be an effective tool for character development). Initially, Kurt Schwitters’ Ursonate provided a useful textual focus for encouraging creative vocalization. Shakespeare’sHamlet (Act I, Scene 5) helped to facilitate explorations around the potential use of digital voice modulation techniques in developing a specific character from a known play text. 1. The subjective experiencing of vocal disembodiment (and re-embodiment) as a consequence of electroacoustic reinforcement of the actor’s voice through loudspeakers and headphones. 2. The creative potential – for actors – in using digital modulation effects to explore and facilitate character development through the vocal equivalent of a mask (i.e., a kind of “digital voice mask”). 3. The experience of an actor encountering or negotiating a ‘digital voice mask’ for the first time. 4. The development of methods and strategies through which conventionally trained actors may begin to cultivate a rapport with “digital voice mask” technologies, with classic play texts (such as Shakespeare’s Hamlet) providing a textual focus. Even the most basic sound reinforcement system can heighten aural sensitivity and encourage creative explorations of vocalization (i.e., the variable noise spectra of sibilance; the percussive power of plosives, the wide variability of sustained tones and timbres, etc.). A feedback-response process of vocalizing, listening and then responding — adjusting tone, timbre, text, etc. – may begin to evolve. With Schwitters’ Ursonate text emphasizing the production of vocal sounds over semantic or linguistic meaning, we wondered if its internal sound structures might inspire creative explorations, leading to the gradual development of more specific vocal characters or personas. Through electronic reinforcement, the actor may also discover new scales of acoustic intimacy and power. They may begin to perceive a newfound capacity for filling the performance space with even the most intimate and delicate of vocal sounds. Through this, a greater sense of acoustic power and physical presence onstage may be cultivated which, if subsequently removed, may lead to sensations of acoustic “smallness” or powerlessness. For example, Sebastian found the “in-between” state – between amplified and non-amplified – to be particularly disconcerting and alienating as he was simultaneously speaker and listener. A) Like the actor who wears a physical mask without knowing what the mask actually looks like, the actor does not hear the audible effects of digital voice modulation. In this instance, his acoustic vocal performance is not directly influenced by the processing in any way. Here, we compared Laurie Anderson’s use of pitch / gender-shifting techniques (in pieces such as Mach 20), with a similar use of it in film and television production, where an interview subject’s request for anonymity is achieved in post-production using digital pitch-shifting techniques. Where Anderson is aware of her vocal effects, in the latter example the resulting effect is rather superficial since the person speaking is unable to hear – and further alter – the acoustic characteristics of his voice (pronunciation, diction, phrasing, accent, pitch, etc.) in response to the vocal effects being applied. B) By comparison, Anderson’s approach appears to involve altering aspects of her voice (phrasing, articulation, diction, etc.) in order to speak through a more character-driven approach to using digital voice modulation techniques. This is perhaps akin to the actor working with a physical mask in front of a mirror, exploring and developing the details of a character through physical gestures, eye movements, etc. Here, the actor responds to the audible effects of digital voice modulation on his voice by exploring how the effects respond to changes in vocal performance, such as diction, phrasing, falsetto, accents, timbre, etc. The actor meets the effects of modulation halfway, adjusting the interaction between his voice and the effects in order to locate the details and nuances of a distinctive vocal character. From these initial observations, notions of “voice masks” and “character prosthetics” began to form, spurring broader questions regarding the actor and the potential range of methodologies for interacting with such a thing. Similar to the actor working with a costume or a mask, the character may arise from an actor’s own research and creativity, through assignment by a director or designer, or alternatively as a process whereby the actor customizes the costume or mask with the director’s guidance. There may also be phases of mask development, mirroring Jacques Lecoq’s methodology, where an actor works blankly with all effects, similar to the neutral mask; then with limited effects or text, narrowing the possibilities, as in a larval mask; and finally the vocal character mask emerges. A strong rapport with such digital “voice mask” technologies may be encouraged by imparting responsibility for the operation and maintenance of the technology to the actor. Doing so, however, risks complicating the actor’s performance practice (at least initially) by splitting focus between internalization of the character to be performed and the monitoring and control of the technology. The actor must develop the capacity to split focus between acting on the one hand and a more dramaturgical position on the other. The use of digital voice modulation in the creation of “gender-bending” effects are particularly popular among artists employing this technology. In one sense, the sensation is akin to wearing a mask or disguise at a masquerade party, or a kind of “auditory drag.” Yet, unlike a traditional mask, the actor may continually monitor the effect of this voice mask on his outward appearance, through which the actor’s sense of self or character becomes highly mediated. For the uninitiated actor, the challenge is to avoid distancing himself from its strangeness (“I sound so weird!”), and instead give himself over to a process of exploration and (re)negotiation with those aspects of self (or perhaps more precisely, other possible selves) that appear altered by / through the mask, coupled with modulations of personal agency (as a character; as presentation of a “self”), out in the world. The main outcome of our research to date is the development of a digital voice mask metaphor capable of aiding actors in incorporating the technology into their practice, as well as in communication with the sound designer. How might the existing body of knowledge surrounding mask work in performance – such as that of Lecoq and others – serve as a metaphorical testing ground for practices involving the digital modifications of voice in performance? While the use of digital voice masks in a production of Hamlet by The Wooster Group might seem entirely appropriate, how might such voice masks be useful within a more traditional production of Hamlet? Could voice masks serve as a method or tool for “contaminating” an actor’s character development process, encouraging character choices that might not otherwise be made? What happens if you use the voice mask to develop a new character voice, but then remove the mask entirely while the actor continues to perform all of the physical details developed through that mask? Subsequent experiments may also involve two actors exchanging their customized voice masks (somewhat akin to wearing another actor’s costume). If, for example, “Autotune” vocal technologies offer an aspiring singer the opportunity to strengthen vocal projection without having to focus (at least initially) on tuning and intonation, could a “voice mask” be used like a kind of “acoustic nautilus machine” or “training wheels” in the development of new or different vocal muscles? Could an actor’s vocal modifications be retained somehow (assuming this is possible without the audible presence of the voice mask effects) through a kind of embodied muscle-memory recall? Do the residual vocal gestures retain their usefulness for the actor’s performance? In this context, could the voice mask become a useful element in an actor’s training, and not just a performative end? A means rather than an end? Playing with technology live in this way may bring the work closer to a Wooster Group aesthetic, where the actor gives up a certain degree of control to the machine of the performance. Ultimately it will depend on the dramaturgy desired by the director, actor, and designers that will determine to what extent the technology will alienate or liberate. 1. See Auslander, Philip. “Going with the Flow: Performance Art and Mass Culture,” The Drama Review, vol. 33, no. 2, 1989, p. 119-136; Causey, Matthew. “The Screen Test of the Double: The Uncanny Performer in the Space of Technology,” Theater Journal, vol. 51, n° 4, 1999, p. 383-394 and Dixon, Steve. Digital Performance: A History of New Media in Theater, Dance, Performance Art, and Installation, MIT Press, Cambridge, 2007. 2. Freud, Sigmund. “The ‘Uncanny’ (1919) » in The Standard Edition of the Complete Psychological Works of Sigmund Freud, Volume XVII (1917-1919): An Infantile Neurosis and Other Works, Vintage, New York, 2001, p. 217-256. 3. Lecompte, Elizabeth, Kate Valk, Ari Fliakos and Maria Shevtsova. “A Conversation on The Wooster Group’sHamlet,” New Theater Quarterly, vol. 29, no. 2, 2013, p. 121-131, p. 128. 4. Halferty, J. Paul. “The Actor as Sound Cyborg: An Interview with Marie Brassard,” Canadian Theater Review, no. 127, 2006, p. 24-28, p. 26. 5. Translated from: “les personnages et les décors existent avant tout dans la voix, dans les airs autour de la comédienne.” Canty, Daniel. 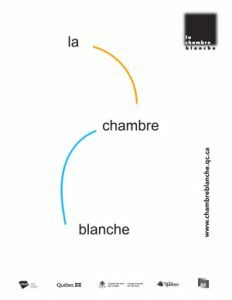 “Bellevoix et le Loup,” online text, Infrarouge, texteChoisie_peepshow_cna3.pdf. 6. Flanders, Laura. “Laurie Anderson: Exploring Art, Music, and Technology,” online interview, GRITtv, May 9 2011, blip.tv. 7. Anderson, Laurie. “Control Rooms and Other Stories: Confessions of a Content Provider,” Parkett, no. 49, 1997, p. 127-35, p. 128. 8. Chua, Eu Jin. “Laurie Anderson’s Telepresence,” Postmodern Culture, vol. 16, no. 2, 2006, online. 9. Goldberg, RoseLee. Laurie Anderson, Thames & Hudson, New York, 2000, p. 60. 10. Auslander, Philip. op. cit., p. 128. 11. Parker-Starbuck, Jessica. “The Play-within-the-film-within-the-play’s the Thing: Re-transmitting Analogue Bodies in The Wooster Group’s Hamlet,” International Journal of Performance Arts and Digital Media, vol. 5, no. 1, 2009, p. 23-24, p. 31. 13. Worthen, W. B. “Hamlet at Ground Zero: The Wooster Group and the Archive of Performance,” Shakespeare Quarterly, vol. 59, n°o. 3, 2008, p. 303-322, p. 318. Anderson, Laurie. « Control Rooms and Other Stories: Confessions of a Content Provider,” Parkett, no. 49, 1997, p. 127-35. Auslander, Philip. “Going with the Flow: Performance Art and Mass Culture,” The Drama Review, vol. 33, no. 2, 1989, p. 119-136. Causey, Matthew. “The Screen Test of the Double: The Uncanny Performer in the Space of Technology,” Theater Journal, vol. 51, no. 4, 1999, p. 383-394. Chua, Eu Jin. “Laurie Anderson’s Telepresence,” Postmodern Culture, vol. 16, no. 2, 2006, online. Dixon, Steve. Digital Performance: A History of New Media in Theater, Dance, Performance Art, and Installation. Cambridge, MA: MIT Press, 2007. Flanders, Laura. “Laurie Anderson: Exploring Art, Music, and Technology,” online interview, GRITtv, May 9 2011,blip.tv. Freud, Sigmund. « The ‘Uncanny’ (1919) » in The Standard Edition of the Complete Psychological Works of Sigmund Freud, Volume XVII (1917-1919): An Infantile Neurosis and Other Works. New York: Vintage, 2001, p. 217-256. Goldberg, RoseLee. Laurie Anderson. New York: Thames & Hudson, 2000. Halferty, J. Paul. “The Actor as Sound Cyborg: An Interview with Marie Brassard,” Canadian Theater Review, no. 127, 2006, p. 24-28. Lecompte, Elizabeth, Kate Valk, Ari Fliakos and Maria Shevtsova. “A Conversation on The Wooster Group’s Hamlet,” New Theater Quarterly, vol. 29, no. 2, 2013, p. 121-131. Parker-Starbuck, Jessica. “The Play-within-the-film-within-the-play’s the Thing: Re-transmitting Analogue Bodies in The Wooster Group’s Hamlet,” International Journal of Performance Arts and Digital Media, vol. 5, no. 1, 2009, p. 23-24. Worthen, W. B. “Hamlet at Ground Zero: The Wooster Group and the Archive of Performance,” Shakespeare Quarterly, vol. 59, no. 3, 2008, p. 303-322. Sebastian Samur is a performer and doctoral student at the Centre for Drama, Theatre and Performance Studies (University of Toronto). His primary research interest is actor training and its various manifestations. This has led him to train with various companies, including SITI Company, Odin Teatret, Roy Hart Theatre, and, most recently, the Dairakudakan butoh troupe. His MA thesis (completed at the Université du Québec à Montréal) focused on the actor’s appropriation of technology into his/her practice – specifically, incorporating projection through the use of mime and neutral mask techniques. Since then, he has continued his intermedial research, publishing an article on the use of androids in medical simulation at Hôpital Montfort (Ottawa) in Canadian Theatre Review, and with the university’s Digital Dramaturgy Lab, looking at karaoke techniques for teaching intercultural theatre forms, specifically, Jingju (Beijing Opera) performance. Richard Windeyer is a sound artist/designer, practice-based researcher and doctoral student at the Centre for Drama, Theatre and Performance Studies, the Knowledge Media Design Institute and the Digital Dramaturgy Lab (University of Toronto, Canada). His research focuses on sonic interaction design in crossdisciplinary and performative contexts, including performer-technology interactions, binaural immersion, data sonification, auditory displays and generative art practices. Previously, he was an Adjunct Professor in electroacoustic music composition and technology at Wilfrid Laurier University (Waterloo, Canada) and a creative artist/performer with bluemouth inc and Vertical City Performance among others. His body of artistic work is diverse and multifaceted, ranging from site-specific performance, sonic interaction design, soundscape studies, electroacoustic music performance and composition and intermedial software development. SEBASTIAN SAMUR : is a performer and doctoral student at the Centre for Drama, Theatre and Performance Studies (University of Toronto). His primary research interest is actor training and its various manifestations. This has led him to train with various companies, including SITI Company, Odin Teatret, Roy Hart Theatre, and, most recently, the Dairakudakan butoh troupe. His MA thesis (completed at the Université du Québec à Montréal) focused on the actor’s appropriation of technology into his/her practice – specifically, incorporating projection through the use of mime and neutral mask techniques. Since then, he has continued his intermedial research, publishing an article on the use of androids in medical simulation at Hôpital Montfort (Ottawa) in Canadian Theatre Review, and with the university’s Digital Dramaturgy Lab, looking at karaoke techniques for teaching intercultural theatre forms, specifically, Jingju (Beijing Opera) performance. ///// RICHARD WINDEYER : is a sound artist/designer, practice-based researcher and doctoral student at the Centre for Drama, Theatre and Performance Studies, the Knowledge Media Design Institute and the Digital Dramaturgy Lab (University of Toronto, Canada). His research focuses on sonic interaction design in crossdisciplinary and performative contexts, including performer-technology interactions, binaural immersion, data sonification, auditory displays and generative art practices. Previously, he was an Adjunct Professor in electroacoustic music composition and technology at Wilfrid Laurier University (Waterloo, Canada) and a creative artist/performer with bluemouth inc and Vertical City Performance among others. His body of artistic work is diverse and multifaceted, ranging from site-specific performance, sonic interaction design, soundscape studies, electroacoustic music performance and composition and intermedial software development.